CollegeBound Initiative (CBI) empowers young women and men to realize their higher education and career potential by placing full-time college guidance experts in high-need public schools. CBI counselors maximize students’ college awareness, access, and financial aid awards. CBI participants graduating from our partner high schools achieve four-year college degrees at approximately four times the rate of their national peers. CBI college guidance experts work one-on-one with every student as early as sixth grade. We combine intimate knowledge of our students and trusted connections with a diverse network of colleges, enabling us to optimize college placement and maximize financial aid. Our comprehensive approach creates a culture of success in each of our partner high schools. And the results are clear – we have 17 consecutive years of demonstrated success in increasing the college enrollment and attainment rate for low-income students. For CBI students, the question is not if but where they will go to college. For more information on the CollegeBound Initative, please contact Jon Roure, Chief Innovation Officer. CBI is a year-round comprehensive college guidance program that works with students in grades 6–12 to ensure they have access to and can afford a college education. CBI’s full-time, school-based college counselors, called directors of college counseling (DCCs), work closely with principals and teachers to promote a college-going culture that raises parent and student expectations. 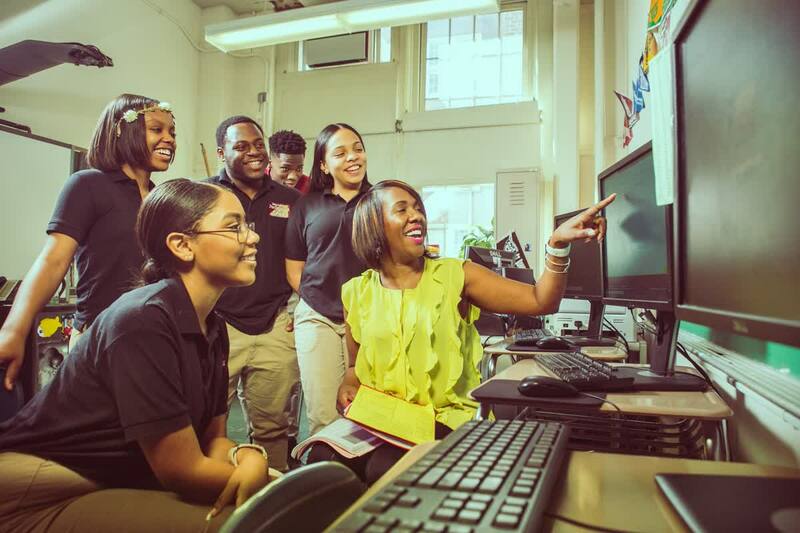 DCCs guide students to overcome barriers to college entry through early college awareness activities and application, financial aid, and enrollment support. As a result, CBI increases students’ college enrollment rates and helps secure the critical financial aid that makes higher education affordable and achievable. 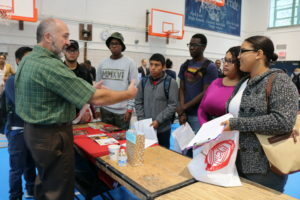 DCCs frequently host college admissions officers, coordinate college trips and fairs, provide students in grades 6–10 with college awareness lessons and workshops, connect students to school alumni who are enrolled in college, and help teachers incorporate college and career awareness into their classes through interactive programming and external partnerships. DCCs (along with SAT partners such as Ivy Key and Kaplan) assist students with registering and preparing for the PSAT and SAT exams. DCCs offer twelfth graders one-on-one assistance with college selection; help students hone their interview skills; and assist seniors in writing essays, recommendation letters, and resumes. DCCs manage each student’s individual application process and offer parent education and outreach for all aspects of the CBI program. DCCs provide comprehensive financial aid counseling and assistance for students and their parents, including financial aid workshops for parents and eleventh and twelfth graders, FAFSA application support, one-on-one meetings with individual students and families, and advocacy on behalf of students via direct communication to college financial aid officers. DCCs lead seniors on overnight trips to partner colleges. Rising seniors from each CBI school are invited to participate in the CollegeBound Summer Institute at Gettysburg College, a three-day college application boot camp. Counselors also introduce students to opportunities for precollege summer programs and scholarships. 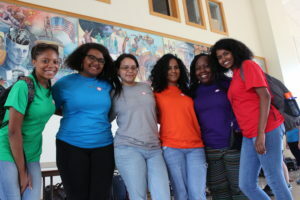 DCCs connect current students to college-enrolled alumni to reinforce the school’s college-going culture and students’ attainment of their post-secondary goals. DCCs also identify and support at-risk graduated students during summer months to support their transition to college. DCCs work closely with several partner colleges (e.g., Gettysburg College and University of Rochester) to increase students’ preparation for, access to, and enrollment in a college that supports their success. DCCs also benefit from Student Leadership Network’s shared network-wide resources, best practices, and activities, like college fairs and trips, to ensure the highest-quality delivery of services. While DCCs are based full-time in each of our partner schools, they receive extensive training, supervision, and professional development opportunities from CBI administrative staff. In the 2017–2018 school year, CBI impacted more than 18,000 students in grades 6–12 at 32 partner schools in New York City.